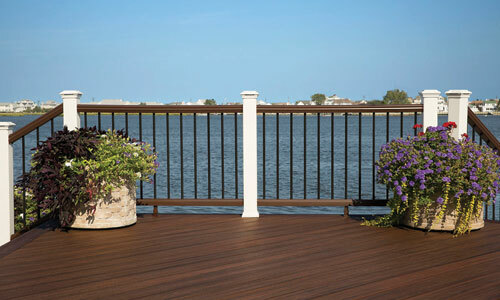 Trex Transcend Railing | International Wood Products, LLC. Trex Transcend railing offer a wide variety of colors and component styles to make your outdoor space uniquely yours. Mix and match for a truly custom look that combines beauty with durability and sustainability! Trex railing won’t rot, warp, peel or splinter. Spend time with your family enjoying your deck instead of working on it! Always used as bottom rail. Also used as top rail when you are capping the rail system with a composite or wood deck board.